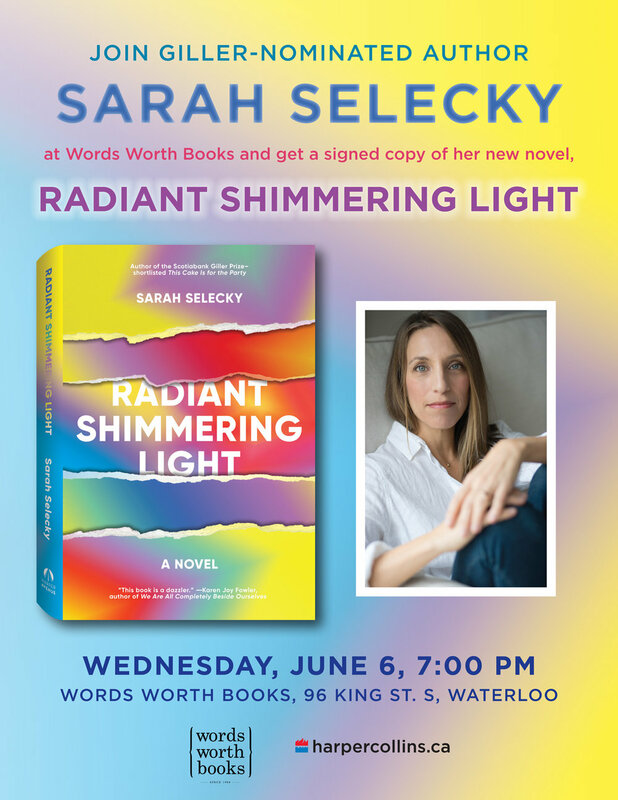 We are very excited to announce that Giller nominee Sarah Selecky will in be in-store on Wednesday, June 6 at 7pm signing copies of her new book, Radiant Shimmering Light! "Lilian Quick has looked up to her cousin Florence her whole life. Florence is everything Lilian is not—brave, confident, quick to find adventure and American. The women have been out of touch for years due to a family rift, but Lilian, childless, single and self-employed as a pet portraitist, has been watching Florence for years. Florence is now Internet-famous as Eleven Novak, the face of a compelling new feminine lifestyle empowerment brand. When Eleven comes to town as part of her sales tour, she offers Lilian a place at the Temple, her Manhattan office. Despite twenty years of silence, Eleven welcomes her long-lost cousin with open arms, and the two women begin a new relationship. Lilian quickly enrols in the Ascendency, Eleven’s signature program: an expensive three-month training seminar on empowered leadership, spiritual awakening, and sales and marketing. Eleven is going to help her cousin rise up to be her highest self: confident, affluent and self-actualized. Lilian’s sensitive, artistic nature is stretched by the work she does in the Ascendency, and pushed even further by her cousin’s careful life coaching. In just three months, Lilian’s life changes drastically and becomes everything she’s dreamed of. But is it everything she wants? And can she trust everything Eleven says?" 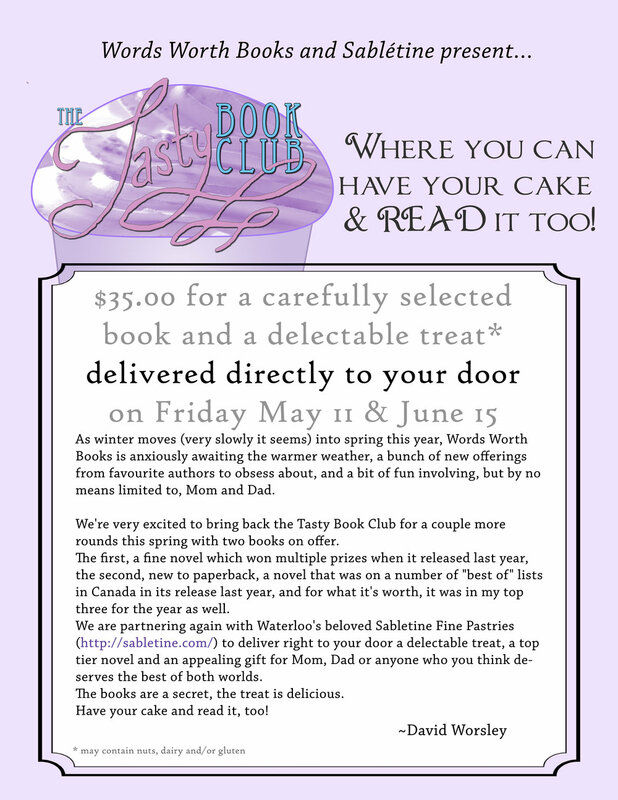 SARAH SELECKY’s breakout debut collection, This Cake Is for the Party, was a finalist for the Scotiabank Giller Prize, was shortlisted for the Commonwealth Writers’ Prize for Best First Book, and was longlisted for the Frank O’Connor International Short Story Award. Her stories have been published in The Walrus, Elle Canada, The New Quarterly, and The Journey Prize anthology, among other publications. She is also the creator of the beloved online creative writing school (and MFA alternative) Story Is a State of Mind. Shifting across three continents, The Deserters explores themes of trust, isolation, abandonment, and emotional disconnection in a world dramatically altered by the experience of war. Eugenie is trying--and mostly failing--to restore an inherited old farm in New Brunswick while her husband, a master carpenter, is away in Spain. The work involved overwhelms her, so she hires Dean to help bring the farm back to working order. The only problem is that Dean is a deserter from the US Army suffering from posttraumatic stress disorder, or PTSD, and he happens to be living deep in the backwoods of her property, where he's hiding out from immigration officials. To complicate matters further, Eugenie and Dean fall into a relationship, even as he is tormented by flashbacks, nightmares, and flickering memories of his wartime experiences in Iraq. Pamela Mulloy's short fiction has been published in the UK and Canada, most recently in Polish(ed) (Guernica, 2017), an anthology of Polish-Canadian writing. She is the editor of The New Quarterly. Pamela Mulloy grew up in Moncton, New Brunswick and now lives in Kitchener, Ontario with her husband and daughter. Call, email, or come in to the store to sign up now! Meet Author Brian Van Norman in store! Next Week: Come in and meet author Brian Van Norman as we celebrate the launch of his new novel, Immortal Water! Once a teacher, theatre director and adjudicator, local author Brian Van Norman left those worlds to travel with his wife, Susan, and take up writing as a full time pursuit. He has journeyed to every continent and sailed nearly every sea on the planet. His base is Waterloo, Ontario. Immortal Water is his second novel. Immortal Water offers a unique portrayal of the very human fear of ageing. The novel depicts two men from two time periods: the Spanish conquistador Juan Ponce de Leon in the 16th Century and a retired teacher named Ross Porter in contemporary times, both in the midst of life altering crises. Inside parallel plots the two men form an obsession with a quixotic search for the mythical fountain of youth. The protagonists sparkle into fullness as each is depicted in his struggle to remain vital while age slowly steals his significance away. 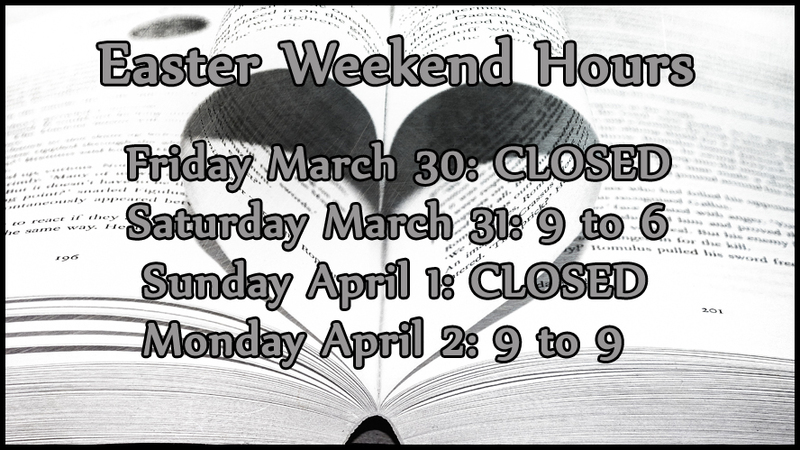 Easter Hours and Digital Sale Updates! As tends to happen this time of year, the Easter weekend is upon us. This of course brings up questions about what our hours this weekend will be. Here you go! "How am I supposed to live without my Words Worth fix for the 2 days you're closed?!" Never fear! Our Online store never closes! With this in mind, we have decided to extend our online sale until Midnight on Monday, April 2! Don't Miss Our Online Sale! As March seems to be going out like a lion, we know that most of you at home are curled up with a space heater or a warm cat—the only thing missing is the perfect book. To help you in your search, we are offering an exclusive online store sale! 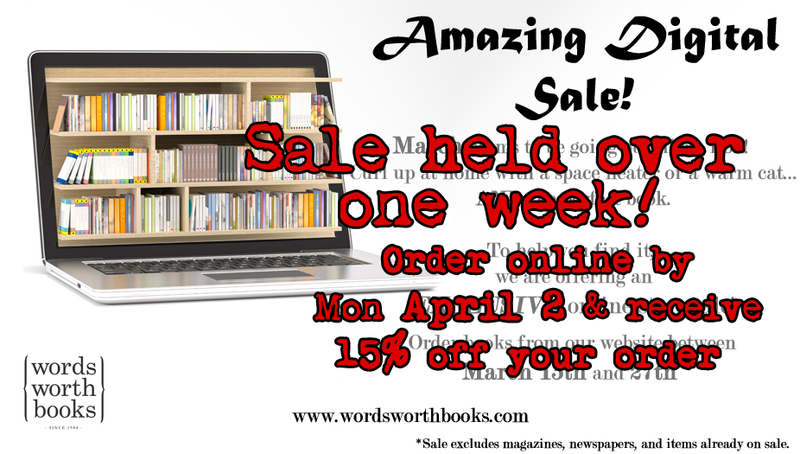 Order books from our website between March 13th and 27th at midnight and receive 15% off your order! Haven’t tried our online shopping experience before? We offer a fully searchable database of all books in print plus information about their availability in-store or on-order. It’s a great way to stay warm and stay connected! *Sale excludes magazines, newspapers, and items already on sale.